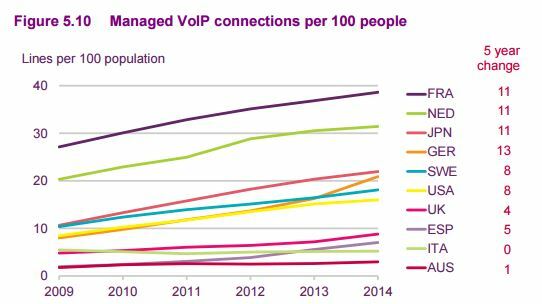 OFCOM, the British telecom authority, published its International Communications Market Report 2015. The research shows that French telecom operators offer the least expensive tariffs among 6 peer countries. The OFCOM report analyses the cost of services for 5 different consumption profiles* and 3 pricing options**. Based on these profiles, OFCOM concludes that France offers the cheapest offers out of 6 benchmarked countries overall. It also provides the cheapest pricing in the “bundled service” and “lowest available” categories. Only in the “stand-alone” pricing comes France second to the UK. At the other end, the USA rank most expensive in all categories. 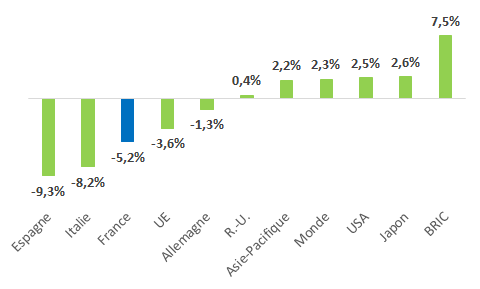 French tariffs are particularly attractive when it comes to bundled service; in details, the French bundled offers are the most affordable for 4 out 5 studied consumption profiles and rank second for the “connected family” household profile. France also ranks first in 2 out of 5 in the “lowest available” category and second in the other 3. 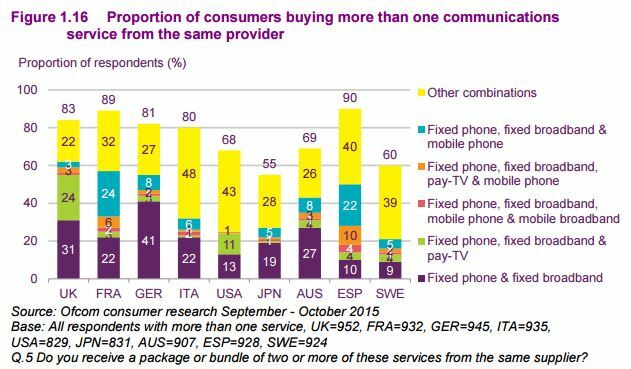 89% of french consumers subscribe to more than one service from the same provider. Moreover, 24% of them subscribe to a bundled offer that include fixed voice, broadband and mobile voice from the same provider. 40% of french households used IPTV as their main TV platform and could access an innovative (VoD and catch up on the TV screen) and rich (9.3 million households could access HDTV through IPTV) audiovisual offer- compared to 30% in South Korea for example. Read OFCOM’s report briefing and the full ICMR 2015 report.